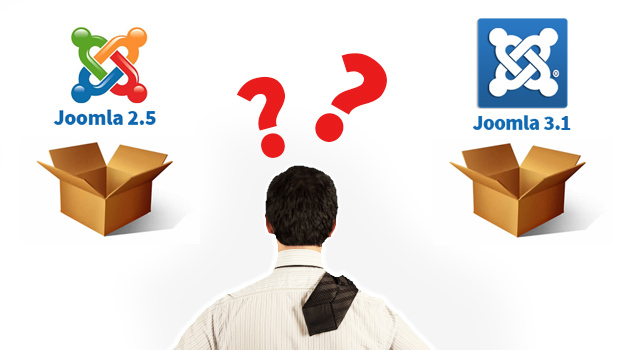 Should You Migrate from Joomla 2.5 to Joomla 3.1? Congratulations on choosing to use Joomla for your website Content Management System (CMS). Currently Joomla 2.5 is the current Long Term Support (LTS) version, and Joomla 3.1 is the current Short Term Support (STS) version. After Joomla 3.1, there will be Joomla 3.2, then follow the next Long Term Support version Joomla 3.5 due for release in March 2014. We were probably the first of the Joomla template clubs to introduce Mega Menu feature with our first generation T3 framework way back in 2009. 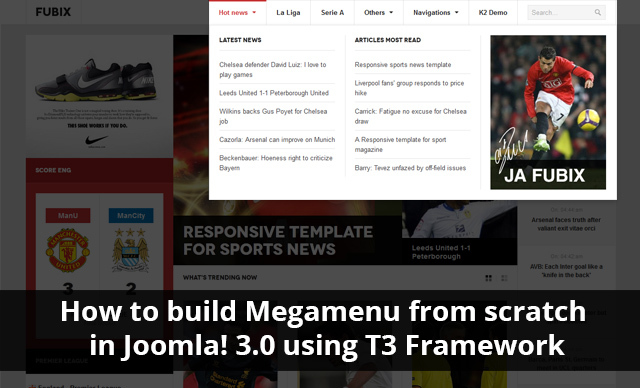 It was an instant hit and we have refined the mega menu workflow since then and in our latest T3 framework V3, we moved to jquery instead of mootools. In the template userguides, we provide screenshots of how we configure the Mega Menu as in the demo site. 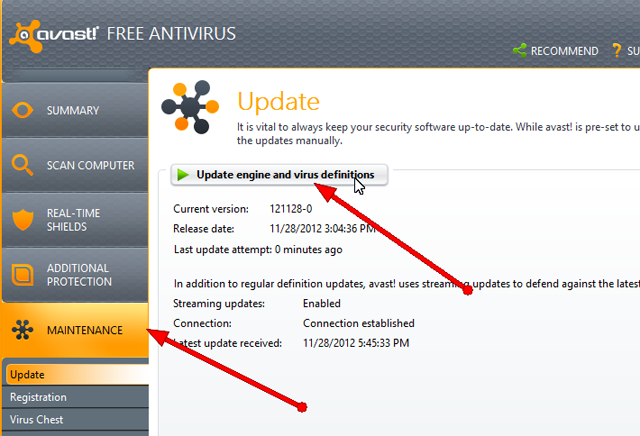 But what if you are trying to configure Mega Menu without any userguides? That is when this tutorial comes in to play its role. It does so happen that we choose templates and extensions for our Joomla project and start building the site, adding more extensions as we go and since most of the development happens on the localhost, site loading / performance does not seem to be an issue. Shock sets in, when the site is moved to live server and tested and having invested 100’s of hours, its way difficult to remove extensions or cut down features to improve site performance. This is the story of most of the people asking for professional help to optimize their sites. 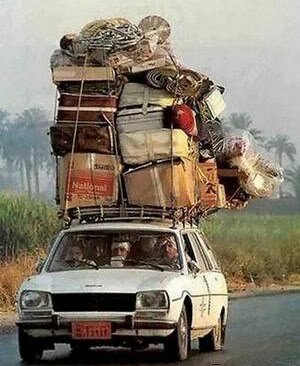 Remember, if it’s heavy... it’s going to load slower. 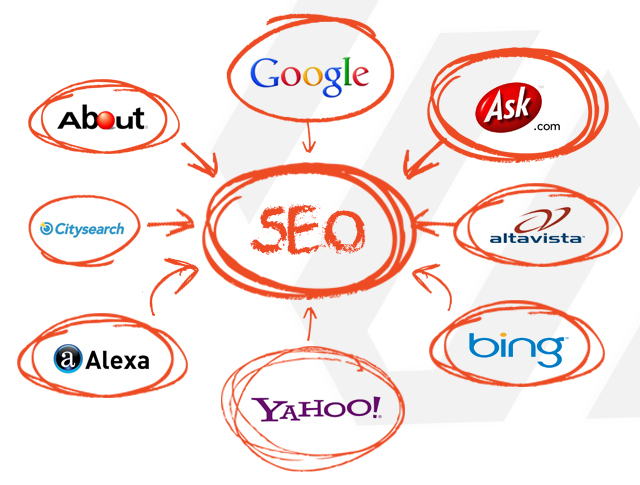 From day one, keep the site optimization as one of the top priorities. Have tools to measure the effect of each and every addition you make on the site’s overall performance before adding them and try to fix an upper limit for site size and HTTP requests. 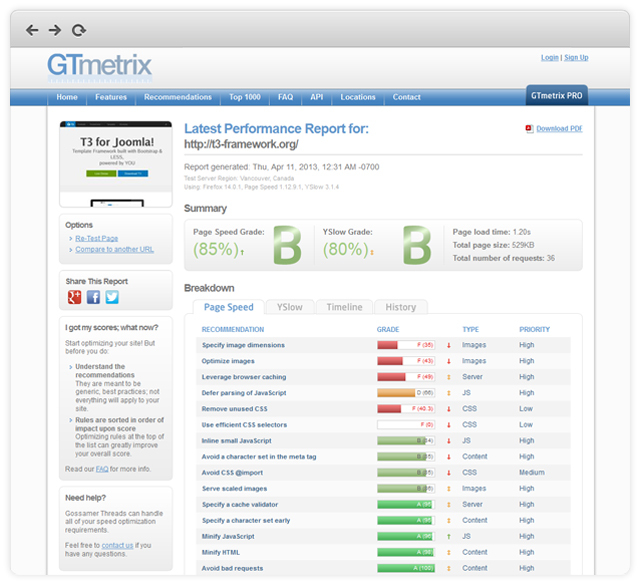 Here are some of the easy-to-use tools to test your website. Have you ever been on a website and just can’t figure out how to navigate to a certain page? Or perhaps suddenly been frustrated by trying to find the navigation bar after reading through countless comments or posts down the page. Not only is this annoying but often happens even more when using a mobile device or tablet, and is more complicated to remedy. I have, and these problems while small, really bother me and countless other users too. Navigation is among the most important features in web design and focusing on it’s development will be a huge trend in 2013. To help improve the users experience and improve customer satisfaction we have recently incorporated Sticky Navigation for Desktop and Off Canvas Navigation for Mobile in JA Argo - responsive Joomla 2.5 / 3.0 template based on our all new T3 Framework , as well as in T3 Framework. 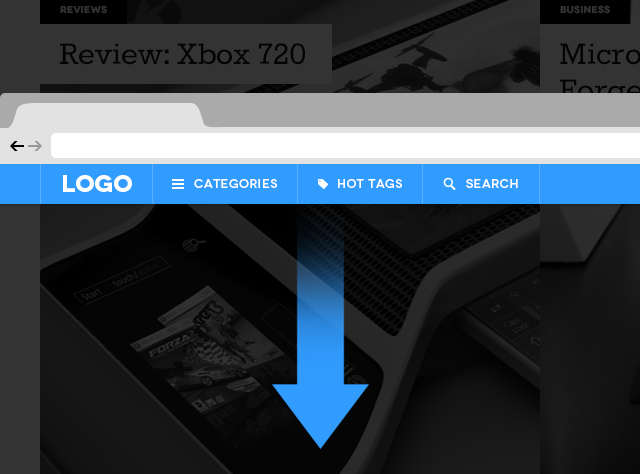 In the past we would see all kinds of links listed on the top navigation bar. First we would scroll down to read the article, information, or blog post then have to scroll up to find the navigation bar located at the top of the page. Let’s be honest, that is one annoying and inconvenient thing to have to do everyday of your life. A few days ago, we introduced the Layout Configuration feature. We're here with the update, to show you how this awesome feature can be easily used in JA Brisk - our latest Joomla! 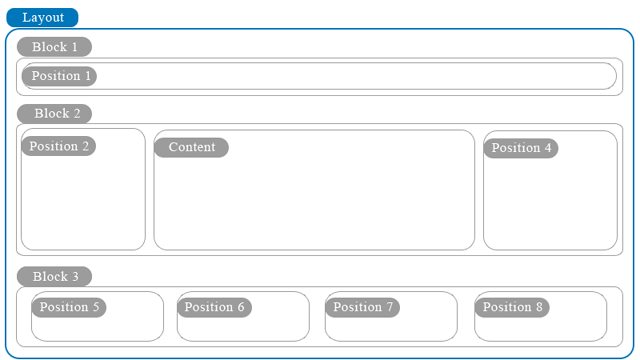 3.0 responsive template. One of the most common questions we hear all the time, is how to move a site from a development environment to a live site, or how to move a site from one directory to another, or even from one server to another. 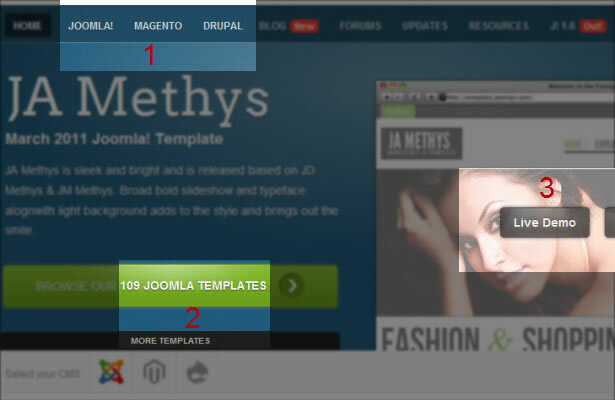 For many this seems to be a huge challenge, fortunately, this can be one of the easiest things you do with Joomla. Is Facebook comment more engaging? Today we are trying out something interesting. 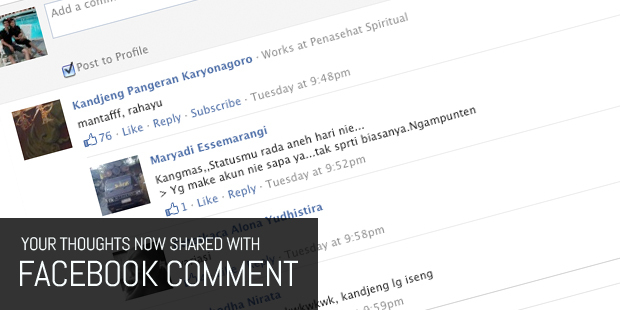 We switch on Facebook comment for the few next posts to be used parallel to our in-house comment system and want to get a feel of how users react on this move. Recently JoomlArt has been recommended by webhostingsearch.com as BEST WEB TEMPLATE provider to their community (listed under Web Tools directory). Finally we got it out! Surely you have noticed from the homepage that we have changed the design several days ago. Thanks to the design team for their creative effort to improve accessibility for visitors. This is a major design refinement since our Joomla site update from June 2010.